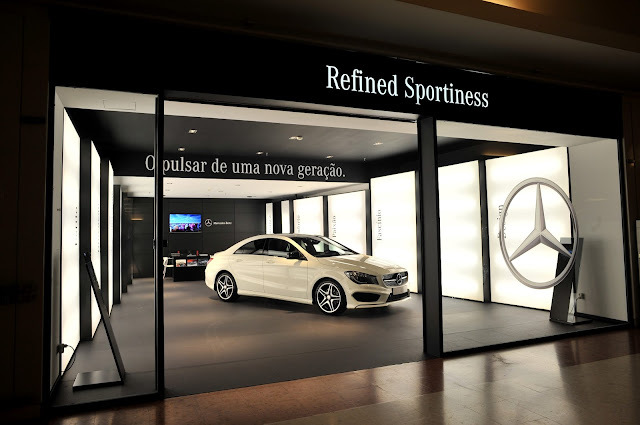 Last April 2013, Mercedes-Benz opened its first Concept Store in Oeiras, Lisbon. At this refined space, thousands of visitors were able to get closer to the brand and its latest models, including the new CLS Shooting Brake, the new CLA and the new A Class. This three months project came out from a challenge to find new and innovative ideas to take the consumer to visit the automobiles showrooms. This partnership was possible due to the great partnership between Mercedes-Benz, Mundicenter, Mercauto, and Brand Cook, that developed and conceived the Concept Store. 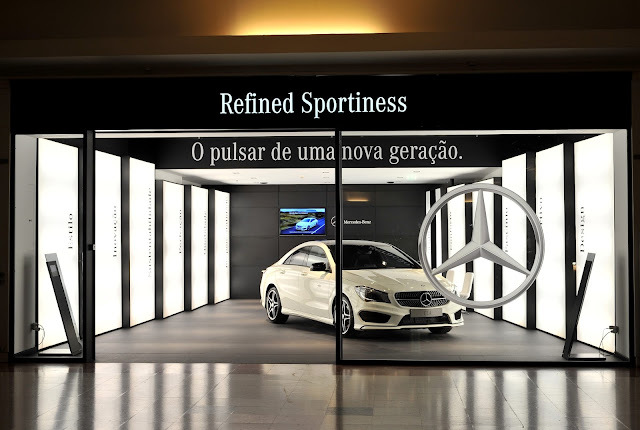 Challenging the negative trend of the automobile market in Portugal, this first Mercedes-Benz Concept Store in Europe stated the innovation and differentiation factors as part of the Mercedes-Benz DNA that we are used to. It's not "Mundicer", it is "Mundicenter", the company which owns multiple shopping centres in Portugal, including the one where this store is located: the "Oeiras Parque" Shopping Centre. Thank you for letting us know and for following Maison Chaplin.